Whenever a discussion on the best Star Wars video games comes up, Star Wars Battlefront 1 and 2 are always mentioned. Fans just loved those games (full disclosure, I’ve never played either). So when EA announced that they were working on a new Battlefront game, most fans were thrilled. 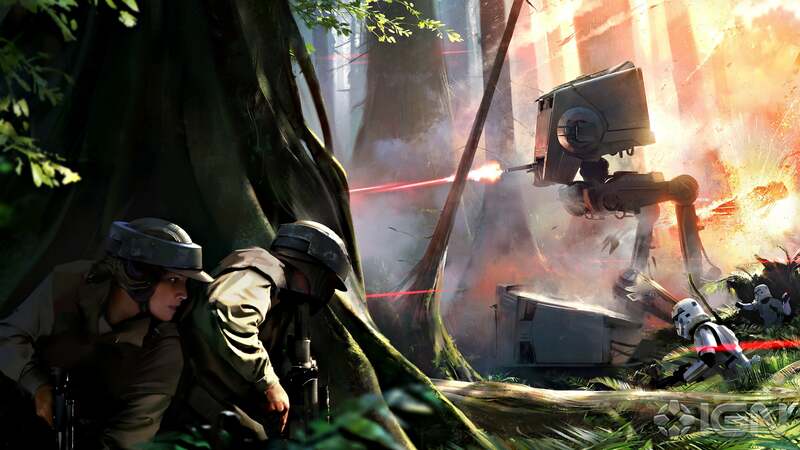 Today, the good folks over at IGN have posted an exclusive piece of concept art for the game featuring the Battle of Endor. You can view a hi-res version here. “The scale of our maps and modes offer a great variety” depending on the location, Fegraeus explained. Hoth, where the Rebel Alliance fought off invading AT-ATs in snowy plains, will differ in size than the dense woodland of Endor. Be sure to read the full article over at IGN.